Doing what you love makes working easier. However, even if you love your job, no day is the same and it’s not always easy to enjoy your work. So, how can you work day in, day out with the same enthusiasm? How can you keep your customers and employees happy? And how can you have more time for other activities? Prioritise your tasks. Doing things that take up a long time but provide little rewards should be avoided. Focus on your top tasks and avoid unproductive things which are not going to help you move forward. Don’t over plan. Planning is important. However, its too easy to spend all your time planning leaving no time to actually getting anything done. Learn to manage Email. Just reading all your emails can take up a large chunk of your day. But how many of the emails are actually important. If you deleted a chunk of emails would you be any worse off? Managing your emails better will free up time. Only look at emails at certain points in the day, use email filters to allow you to concentrate on the emails that matter and send quick replies with a follow up phone call rather than writing long essays. Learn shortcuts. Setting up auto-text on your mobile allows you to respond to office messages on the go. You do not need to type the entire thing every time while responding to messages. Say “no” when necessary. In addition to removing a few things from your ‘to-do’ list, saying “no” also becomes vital in the work place. Saying “no” conveys that you are capable enough to distinguish between work priorities, productive and unproductive work. Question what is not clear. Question the things that you are not sure about. Getting on the same wave length with your customer will help ensure tasks are done quickly and efficiently without having to come back to problems and disputes later. Keep communication open. The way you interact or communicate with people defines how smoothly you can manage your work. Hence, maintain professionalism, yet build personal rapport with colleagues, customers and subcontractors. Keep all your communications clear to avoid any misunderstandings. Delegate work. Have a long list of tasks? Make it easier by delegating. Also consider the longer term, it may take a a bit longer initially to train a colleague but could pay big dividends in the long run whilst also improving their morale. Don’t stress. You cannot maintain the same level of energy every day and for every task. Enjoy the flexibility of being your own boss and allow time to rest, recuperate and think about your business. Get organized. The key to make your work easier is organizing everything- from your desktop to Email inbox, and from interactions with colleagues to meetings! Job management cannot help all aspects of your business. However, it can help improve communication, help you delegate your jobs and ensure you are organised. With Okappy Job management you can allocate jobs to your employees and subcontractors and see the status as the jobs are completed. Key information is automatically recorded meaning less potential for disputes with clients. You can also improve communication via instant messaging between your computer and your employees and subcontractors mobile telephones. 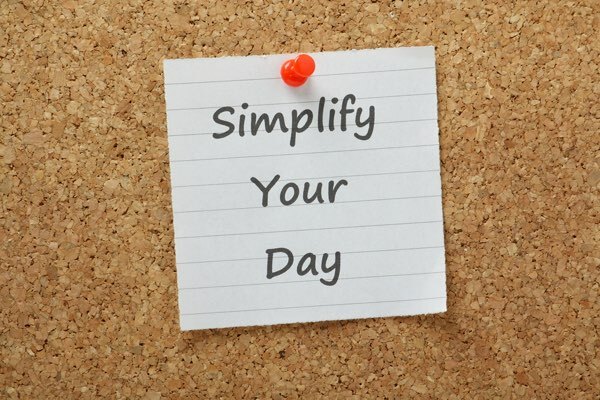 Find out more about Okappy Job Management and how it can help make your work day easier. Jobs reports are now managed by Okappy. With Okappy, you can easily see what jobs have been done by customer, by employee, or what jobs have been done over time. 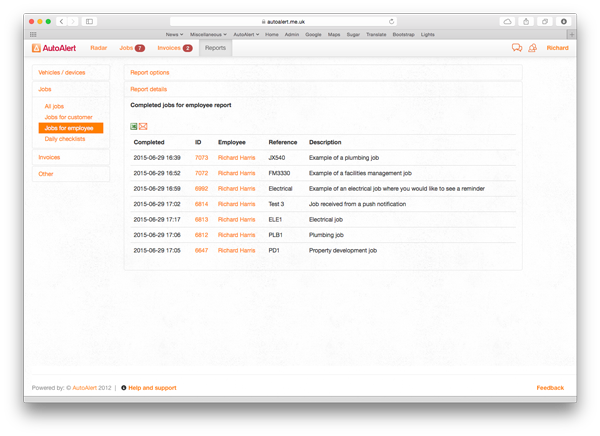 To view jobs done by an employee over a period, select Reports, Jobs and then Jobs for Employee. You can then select the time period and the relevant employee to view all their completed jobs. Job management is now handled by Okappy. You can view the details for each job by clicking on the job. You can also add a new job from the calendar by clicking on the relevant day. Each job is colour coded so you can see at a glance which of your employees, the job relates to. To view your pending jobs in a calendar, click the calendar icon from the top of your jobs page. 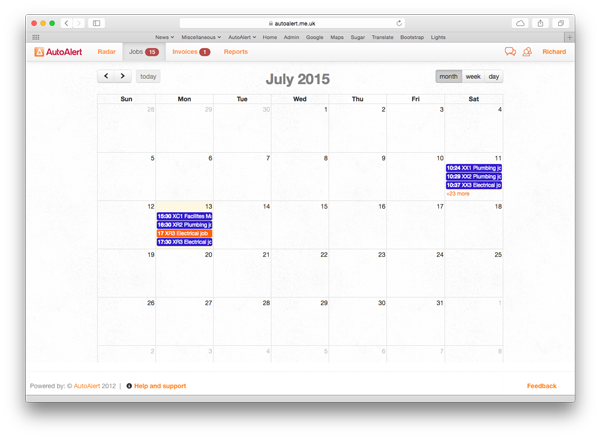 This will open the calendar view showing all your pending jobs. 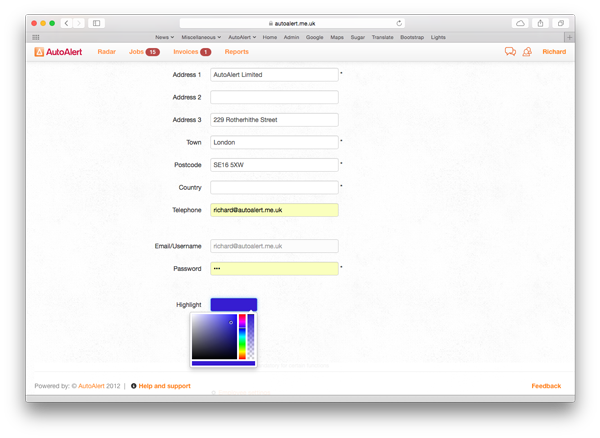 You can set different colours for each employee by clicking on the contacts icon , selecting employees and then clicking on the highlight box at the bottom of the page. You can select any colour and then click Update. This will change the colour of all events for that employee. Find out more about Okappy Job Management or join the conversation and connect with us on Twitter @autoalert. 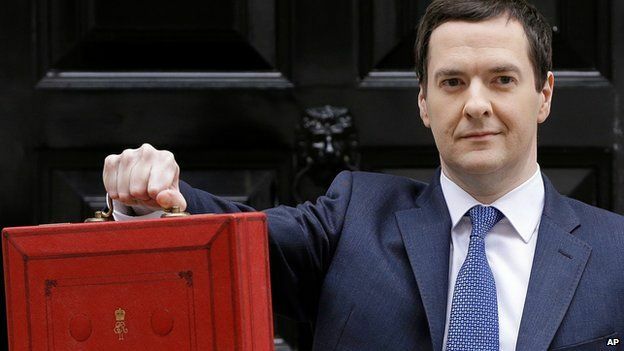 George Osborne has unveiled his budget today with one of his key initiatives being an increase in productivity for UK businesses. Great Britain has a woeful record on productivity with statistics showing UK workers producing a lot less per hour than workers in many other industrialised economies. This doesn’t bode well as economic growth is heavily determined by productivity, even more so when we have a stable and/or ageing workforce. But economists have been scratching their heads as the link between economic growth and productivity appears to be somewhat broken. The UK economy has performed relatively well compared to many other industrialised countries whilst our productivity growth has been lower. No-one quite understands what’s going on. Some say it’s because the way we measure productivity is either wrong or incomplete whilst other point to the structure of the UK economy which is more heavily biased towards services. In the UK, we have a lot more electricians, plumbers, hairdressers and consultants than say Germany which is more heavily skewed towards manufacturing. Unfortunately, it is often more difficult to increase productivity in the service sector. Unlike in manufacturing organisations where you can buy the latest machine for your production line and watch the output per worker increase, in the service sector it is not as easy for a hairdresser to increase the number of haircuts s(he) provides, no matter how sharp her scissors. George Osborne, the British chancellor promised to unveil a plan designed to “make Britain work better” in his Budget on 8 July. But what can really be done. We have conducted research with a lot of our customers who work in the service sector. They range from electricians and plumbers through to security companies. The conclusions we drew was that productivity can be increased substantially, even in these industries. In many of these industries there is still a heavy reliance on paper for job sheets, work sheets or delivery notes. Filling out these paper forms is very inefficient and time-consuming with paperwork alone often taking up at least a couple of hours for each engineer and even more for the boss of the company. With the average time spent on a job being around an hour, spending 2 hours on paperwork means 2 jobs lost which not only costs the company money, it ultimately affects the UK’s productivity statistics. A heavy reliance on paper often results in engineers having to come to the office to pick up their jobs each day and then bring their job sheets back at the end of the day or week. Again this means time wasted when an engineer could be working and higher costs for items such as fuel. 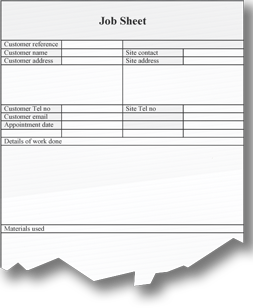 Using paper job sheets often also leads to missing invoices or disputes when an invoice is simply forgotten or the customer queries the amount on the invoice. This takes up time which could be better served in growing the company and leads to lost work and lost productivity. “There are jobs that organisations are unable to automate,” says Prof Peter Fleming at Cass Business School of City University London. Jobs like flipping burgers and driving buses which though necessary are low skilled and low paid and don’t add much to the overall economic output. Wages have stagnated for the past few decades and an increasing number of people are working on “zero hour contracts” where staff is hired with no guarantee of work and uncertain pay. Prof Fleming argues that this has demoralised the workforce, depriving them of incentives to work better or harder. But there is hope. Technology is having a huge impact on the way many people work and the impact is starting to be felt in the construction, electrical contracting and plumbing sectors. Cloud based software means that information can be shared more easily and be instantly accessible wherever your workers are. The latest job management software in particular can eradicate paper based job sheets, sending information to the engineers mobile telephone and updating the office as soon as the job is complete. This leads to less administration, fewer mistakes and higher productivity. Interested in finding out more, leave us your email and we’ll keep you up to date with our latest thought pieces. Or get in touch on twitter. Job management is now handled by the Okappy Market Network and its job management software. With Okappy Job Management, it’s easy to see what is happening with all your jobs. You can quickly focus on the exception rather than having to worry about the status of all your jobs. Any job which is running late will be automatically flagged up. But what if you’re the engineer who is actually doing the job, and you would like to set a quick reminder. 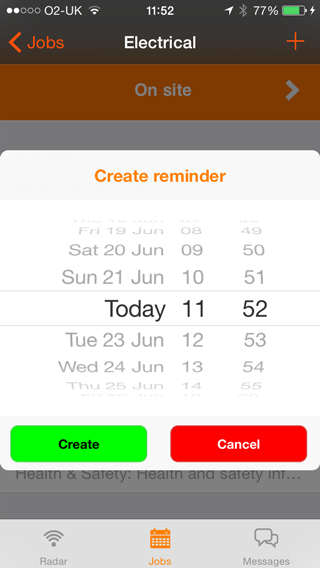 Setting reminders is also very simple to do. Check out the steps below to quickly create a reminder for your job. To create a reminder when you’re in a job, simply click the plus button at the top right of the screen to show the Create reminder pop up box. 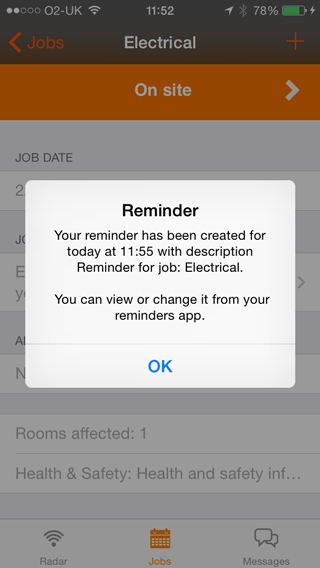 Once you have selected the date and time of the reminder and clicked Create, the reminder will be created with the job description automatically populated. You can easily open your iOS reminders app by clicking on the AutoAlert icon on the top left of your jobs screen and then clicking View reminders. You can see all your reminders. At the designated time, the notification will pop up on your iPhone, iPad or Mac. Find out more about Okappy Job Management and how it can benefit your business. The Apple watch is coming, but will it make much of an impact? The jury is out, there’s already lots of speculation about whether it will have any real value. We decided to have a look at it from the perspective of a small businesses and whether it will make an impact on your working life. 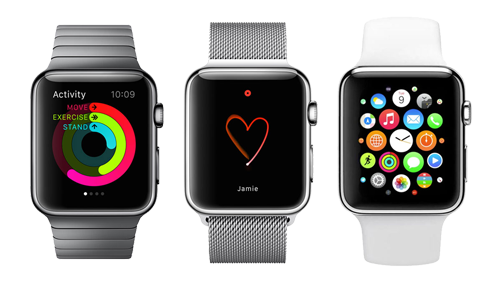 The Apple Watch is the latest bit of technology that aims to encroach on the mythical personal device; a piece of equipment that integrates with your life to smooth over the bumps that get in the way of your day. Typically, the kind of bumps imagined are, to be honest, pretty peripheral obstacles. How to get the most out of your run. How to keep in contact with your better half. How to get that night out organised. But for the average Joe, working to make a living, bumps can be very real and, on occasion, extremely intrusive. Take a small business owner as an example, an electrician perhaps, who runs a small outfit employing five guys. If he’s lucky and his marketing is up to scratch, he’ll have his men out on jobs eight hours a day, five days a week. He’ll have work coming on a steady basis and is able to plan a timetable for the day and week ahead. But then a call arrives that he needs to respond to. A long-standing customer has had all his circuits blow and his sales office is down. He’s already working on a job himself that’s thirty miles away so he has to send one of his employees to sort it out. But which one? Who’s nearest? Who’s almost finished the job? Who’s up a ladder sorting out a junction box and is unable to pick his phone. With certain limitations, this is the kind of situation that the Apple Watch is able to cope with. So he’s received the emergency call, taken on his Apple Watch with the use of Blue Tooth mic and earpiece. Apple’s Siri, a voice activated ‘helper’, he starts running through his employees, checking how they’re doing and when they might be ready to move on to the emergency. The third call finds his man walking out to the van, ready to go to his next job. Satisfied that this is his best option, the boss sends over the contact information for the sales office, while the employee sends back the contact for the next job. Another phone call to say that there will be a slight delay for the scheduled job and the re-assignment is complete. All well and good, but what if the third employee is actually fifty miles from the emergency and the second employee, who hasn’t quite finished his job, would be nearer. This is a solvable problem with GPS, but here is where the Apple Watch doesn’t quite meet the need because it doesn’t come with its own GPS positioner. It can work it out, but it needs to talk to an iPhone first. So in order for the boss to make a smart decision based on GPS, he needs to be carrying his phone along with his Apple Watch. It’s this kind of scenario that exposes the limitations. This doesn’t mean to say that for the small firm of electricians it wouldn’t have its uses. Remember that employee who’s at the top of a ladder fixing the junction box. Well imagine he comes up with a problem that he can’t work out. He needs to phone his boss for a bit of advice but he doesn’t want to go hands free from the ladder. With an Apple Watch, he only has to lean towards his wrist and ask Siri to phone his boss. With his Blue Tooth mic and ear piece his boss is soon talking into his ear, taking him through the solution. He could even sketch out a wiring configuration that would pop up on the screen. It’s up to companies like us to create apps for new devices such as the Apple Watch, but it takes the imagination of the average user to work out how it might be applicable for everyday situations. If a daily run is the only sensible use Apple’s device might be used for, it hardly makes it worth the price. But if it saves a valued customer from going to a competitor, then it surely pays for itself over the course of a year. Or you could use it to tell the time. It does that very accurately. We’re continually looking at new ways to make our customers lives easier. Watch this space by following us on twitter @autoalert, for all our latest developments. You’ve heard of cloud services, heard how much time and money you can save by moving key functions of your business to the cloud. You may even be using a cloud service already. But are cloud services safe and can they really help you to function better, be more flexible and save money? Office space, size of workforce, budget or skill level no longer have to be a limiting factor, as the cloud connects you to a seemingly infinite network of resources, software and storage facilities. Whether you need to train employees, collaborate or check your cashflow, it’s no longer just useful to embrace the cloud – it’s essential. So how can the cloud help? Your business isn’t going to achieve much unless you have a productive workforce. Job management software can help manage a remote workforce, collaborate and communicate on important data and content from any location, simultaneously. Creating a business can require reams of sensitive and important documentation and data. Storing it all on one device or piece of hardware can be problematic, if that device has finite capacity or worse, breaks down… The cloud allows for secure and almost unlimited storage of files and data at very little cost. File hosting services such as Dropbox, Box, Google Drive and OneDrive offer online storage for little or no cost depending on your needs. Data can then be accessed from any internet enabled device, ensuring it’s always accessible and you’re never going to lose it. 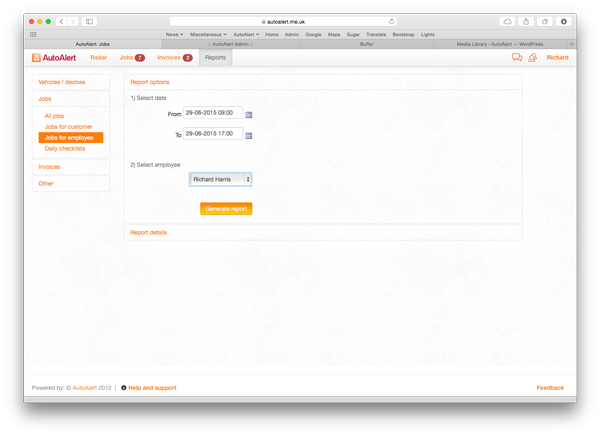 You are also able to control who is able to access and edit any shared files. The cloud is not only helpful for sharing and editing documents but also offers accounting software that mitigates the hassles of complicated and tedious financial admin. Online accountancy software providers like Sage and Xero can help make accounting and payroll processing easier. The latest software is simple and easy to use, so even if accounting isn’t your strong point, you’ll be able to approach it with confidence and have more time to focus on running your business. These programs are targeted and tailored to small businesses and start-ups and are designed with your needs in mind. You can keep track of your cashflow, the lifeblood of any fledgling business, check tax and expenses and send invoices. With a myriad of communication methods now available, for many modern businesses traditional phone and communication systems are either no longer up to the task, or are simply not cost-effective. There’s no denying the importance of email to any small business, but while in the past setting up an email system would involve the cost of a server and software licenses, the cloud can offer a low-cost alternative with no hardware or software required. Both Microsoft’s Office 365 (which offers Exchange Online) and Google’s Gmail offer far greater scalability and flexibility than server-based solutions. Employees can access email from anywhere on the go and work collaboratively. For business owners there’s the benefits of no server maintenance and lower costs as well as easier disaster recovery. And it’s the same story when it comes to phone systems. Unlike static phone systems that are tied to your desk, VOIP services allow you to work from multiple locations with one local number and calls routed automatically. This helps you communicate with each other and with your customers. Its spring, the evenings are getting lighter and the weather warmer. 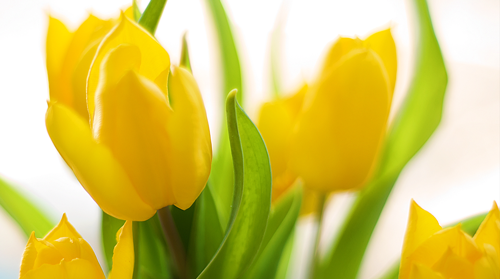 Traditionally this is the time for spring cleaning and getting rid of clutter. So why not also spring clean your business? It’s all too easy to download lots of apps, sign up to lots of newsletters and spend time and effort on old, outdated ways. Perhaps its worth clearing out the junk, looking at how you work and maybe starting afresh. Technology in particular can often be more of a hindrance than a help. Check out our tips on how you can get technology to work for you rather than against you. Technology should be working for you, not the other way around. If you’re spending more time entering data or figuring out how an application works rather than running your business then perhaps that application is not right for you. Take the plunge and delete it, there’s plenty of other apps out there. It’s easy to get distracted by everything that’s going on in the world. Whether you sign up for news apps or newsletters which looked interesting at the time. If you’re spending all your time reading news rather than creating news, then perhaps its time to unsubscribe from some newsletters or drop some of those apps. You can also work smarter with your emails and texts. Rather than continuously checking your emails, why not check them once a day. If they are important you will likely get a call anyway but most not that important. Smartphones, tablets, laptops and wi-fi all allow you to work whenever and wherever you want. This allows you to spend time away from the office, you can visit customers, get inspiration or even just get time away to think. More than half of all emails are now opened on mobiles, a figure which is expected to reach 80% by 2018, so use technology to communicate when it suits you, when you are traveling between meetings rather than when you should be thinking about other things. The cloud can give you a competitive advantage and bring long-term value to your small business. It gives you access to the IT benefits previously only available to larger businesses. Cloud solutions offer the storage, security and flexibility you need to grow your business. It can help reduce your IT costs, improve reliability so you spend less time fixing issues and although people are wary about security, cloud computing can actually increase your security as the latest fixes and updates are managed by a professional company who are continuously monitoring the latest security trends and advances..
Apps can make light work of some of the tedious admin chores of running a business and free you up to focus on what really matters – your customers. They can also help you to find who those customers are and communicate with them better. There’s a huge choice of apps to help you keep track of time, manage your jobs and remote workers, ease invoicing and get to where you need to be..
Apps are also a great way for small business owners to keep up to date on the latest news and views in their sector. Although make sure you don’t end up getting distracted with all the news that’s out there. Integrating your social media and sales can help you to understand your customers and communicate with them. Social media can also help you reach a wider audience at little cost (at least in monetary terms). Social media can also hope you create word of mouth recommendations, gather testimonials or garner feedback. What Are Electronic Job Sheets? Job sheets are used in many in industries such as electrical contracting, plumbing and facilities management. They are used to send job details to workers out in the field and to get information back about the work done on each job. In most cases, job sheets are printed off, handed to an engineer and they have to then fill out the job sheet by hand once the job is complete – or days later. No one likes doing admin, it takes up time which you could be using to grow your business and if information is missing or hard to read then this can lead to delays or errors when invoicing. Okappy has been championing electronic job sheets as a way to cut out paperwork, make life easier and above all cut the cost of admin or missing invoices. But, what are electronic job sheets? An electronic job sheet is simply a way to get rid of paper, replacing it with a form on a computer, tablet or mobile phone which can be filled out by you and your engineers. 1) Details of the job including the address, contact details and any pertinent information about what work is required. 2) A work sheet which your engineer can complete with the details of what has been done. With Okappy’s Job Sheet software, customers typically populate the details of the job with the customer address and telephone number along with any job details. They then allocate the jobs to their engineers or subcontractors. 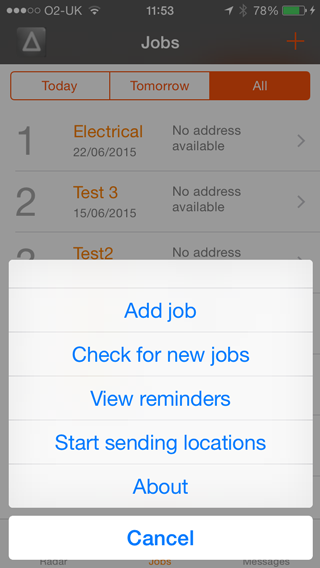 The engineer can see their list of jobs on their phone and can simply click on the job to get more details. They can get directions and easily ring or text the customer. Once the job is complete, the engineer can enter details of the work done and click complete. That’s it, no more duplicating information, no more chasing engineers to get your job sheets back and no more missing, incomplete or ineligible information. Using electronic job sheet can mean an end to copying data from one piece of paper to another. With Okappy’s connected approach, you don’t even need to add the job details yourself. You can connect to your customer, then they can enter the job straight into the system rather than sending you a fax or email and you having to write out the job sheet. As the main details are already included in the job sheet, your engineer doesn’t have to re-write the details. They can concentrate on getting the job done, only entering the details of the work carried out. As soon as you allocate your job to an engineer they can view the details on their phone, no more waiting around each morning to get their job sheets, and no need to come back to the office if a new job comes in. They can also update the job sheet at the click of a button, which not only means less admin for them, you also get to see the status of the job as its updated. Trying to decipher handwritten information is often near impossible. This can be compounded if your engineer is busy or working in a difficult or dirty location. Information also gets forgotten, especially if you’re job sheets are filled out at the end of the week or even later. 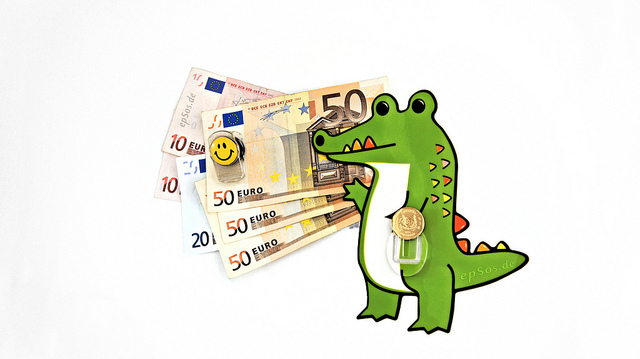 This can lead to disputes with your customers, it can delay the raising of invoices or mean that you cannot invoice for the full amount of work done. Putting your information into electronic form also means that you can better analysis what work has been done over time. This may be required by particular customers but could also help you streamline and improve your business allowing you to better allocate resources and concentrate on the jobs that add the most to your bottom line. One of the biggest differences our customers talk about is improvements to invoicing. If job sheets are delayed, or even worse, missed altogether then this can lead to delays or missing invoices. By automating the process and putting job sheets on your phone, you can raise your invoices as soon as your jobs are complete and automatically include the information required by your customer. This ensures that invoices are not missed, it helps ensure they are correct and can speed up the time it takes for you to get your invoices out. Find out more about Okappy Job Sheet software and how it can help your business.